Upon arrival into Phuket we were transported by private car to Mai House. A 40 minute drive from the international airport saw us arriving to a complementary drink of our choice, and a chance to relax while the attentive staff took our bags to our room. The spacious open plan room included a large bed, 2 seat couch and a balcony overlooking the city and sparkling Andaman Sea. The room had high end fittings and included complementary tea, coffee and minibar drinks (alcoholic and soft drinks). How many resorts give you a free mini bar restocked daily?! During our stay we were able to sample the two outdoor pools which provide a fantastic view of the sunset. Poolside you can indulge yourself with a spa manicure or pedicure or enjoy a drink and some lunch whilst dangling your feet in the water. If you wish to soak your troubles away or have a romantic night in as we did, the private Jacuzzi offered in our deluxe jacuzzi room was a great way to relax and unwind, looking out at the tropical view. If you want to be indulged further, the Four Elements Spa is one of the best in Phuket, offering a vast menu of treatments and experiences that will ensure you leave relaxed. Ancient healers believed that harnessing the energy and therapeutic powers of Wood, Fire, Earth and Metal would boost vital energy, settle the spirit, and nourish one’s core essence. The spa embraces this idea in their spa rituals, combining traditional Asian and Western techniques with the best products and naturally therapeutic ingredients. We were privileged to book in for a traditional Thai couples massage. It was truly sensational, and the worst part was that it had to end. If the gym is more your scene, #DontSkipLegDay … Mai House provides a full gym including weights and cardio equipment. Mai House offers a clash of east and west when it comes to cuisine, and a wide range of food options are available for you to enjoy in the bar/restaurant, at the rooftop bar, poolside or in your room. The complementary breakfast buffet is no exception to this providing a huge range of hot and cold foods including traditional dishes of Pad Thai, fruit, pastries and omelettes made to order, just to name a few. Dinner specials provided on the rooftop bar allow you to relax and unwind at the end of the day while you watch the sunset over the city. Every traveler will feel at home here. Whether you’re booking a romantic honeymoon or a family getaway. A holiday with the kids is great, but Mai House understands that parents need a break! The resort provides a kids play area, close by to the family rooms, and there is a free shuttle bus into town for a family day out. 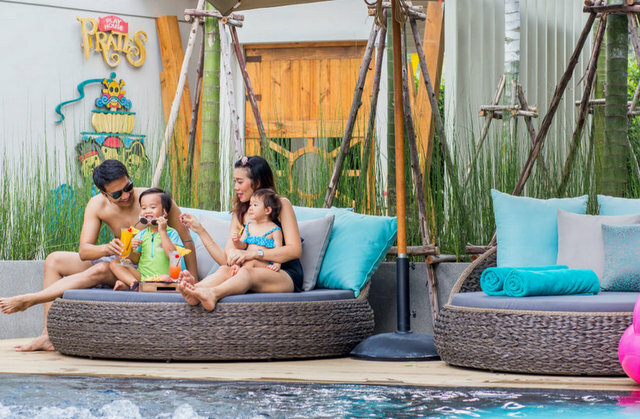 They really go out of their way to cater to families, with a range of family spa packages with kid-friendly treatments from massage to after-sun treatments, manicures, pedicures and facial (painting). Perfect for the adventurous couple, the hotel encourages you to unplug from the daily routine and slip away into adventure and exploration (though there is complimentary Wifi everywhere). Whether ATV off-road action, or you’re cuddling up with a tropical cocktail on the rooftop deck is what you’re after, MAI HOUSE is the type of accommodation that makes it their mission to help you get back to “us”. 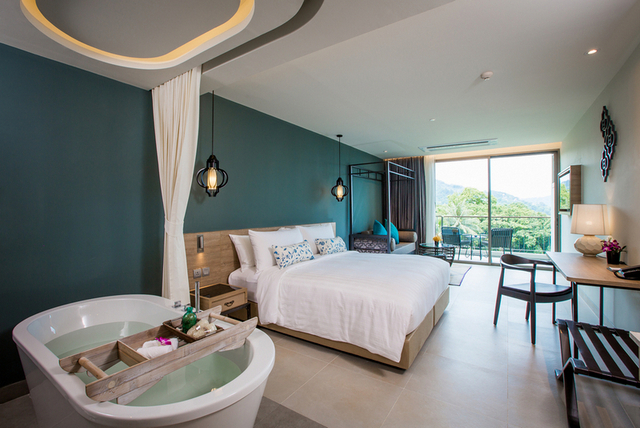 One of the newest resorts in Phuket, Mai House Patong Hill truly provides a luxurious holiday experience for all guests. From the moment we were greeted at the airport through to checkout we felt pampered and indulged, and made to feel like royalty. The staff went above and beyond to ensure we had everything we needed. Every staff member greets you with a smile and they are incredibly attentive, so we give the service 5 stars. The flexibility of the day really reflects this attitude of friendly and helpful service, allowing for optional early check-in and late check-outs where possible. The price is incredibly reasonable for such 5 star service. So if you’re looking for somewhere to spend your Thailand getaway, we strongly suggest you look at Mai House. We’re definitely heading back. We’ll see you there soon. That’s interesting I’ve never seen a spa with kids packages before. I’m not sure how my boys would feel about much pampering but they both love Thai massage whenever we’re in Thailand. Looks like a beautiful place. They do a wonderful job of catering to families, because why not give the kids a little pampering too right! Half the time they just like being included in what the grown ups do. I can’t believe you had your own private jacuzzi room in Mai House! I would also stay in, especially with the resort catering so well for kids. Will def consider this hotel if we return to Thailand. We can highly recommend the Four Elements Spa – but you add the combination of that, the view, the luxury rooms, and the food, and it’s a recipe for an epic Thai holiday! Wow, what a great place for a relaxing get-away. 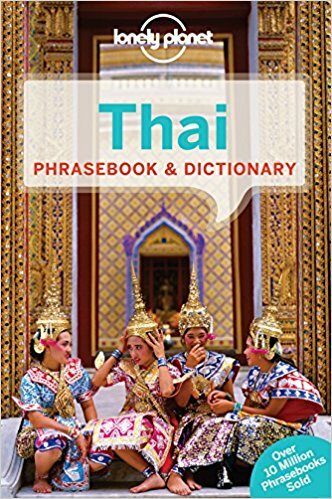 We’ve been dying to visit Thailand and the rest of Southeast Asia so this will definitely be on our list. Absolutely Rhonda! Can highly recommend MAI HOUSE – hope you have the chance to plan a trip! 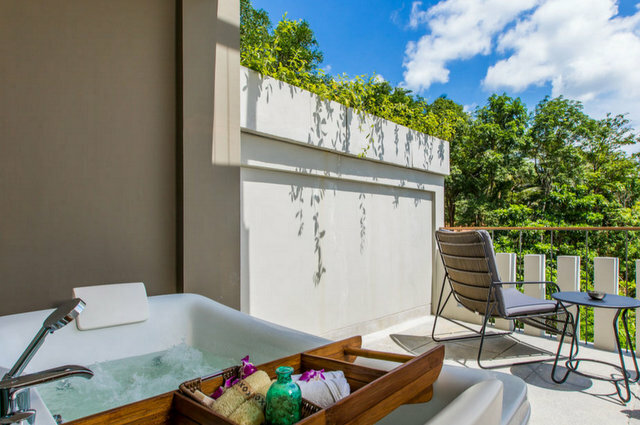 A private jacuzzi tub in your room overlooking the Andaman Sea and a minibar restocked daily! Well that sounds just about like my idea of heaven. I have heard Phuket has been changing a lot which new luxury hotels popping up all over the place. Seems like I am going to have to go back and investigate myself! Doesn’t it just! There are definitely a lot of luxury hotels in Phuket nowadays – MAI HOUSE is definitely at the top of the lot. Wow this looks so luxurious! I somehow never got around to getting a massage when I was in Thailand, which I really regret. I feel like Southeast Asia is one of the only regions of the world where you can stay in truly luxury accommodation without completely blowing out your budget. 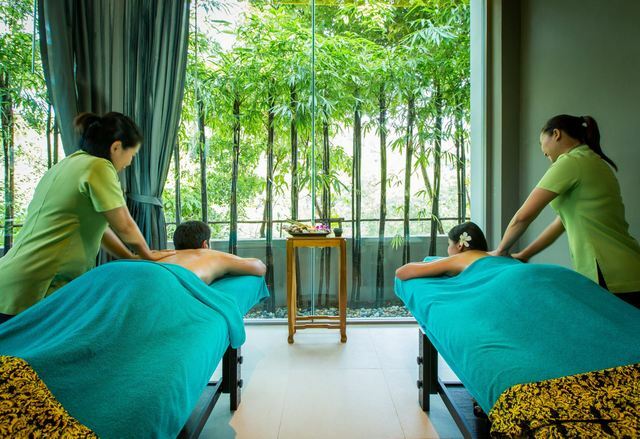 Sounds like you have the perfect excuse for a return trip – the Four Elements Spa is a reason to visit Phuket in itsef :D! And absolutely – the value for money in South East Asia is unparalleled – you can’t find anything close to it anywhere else in the world. 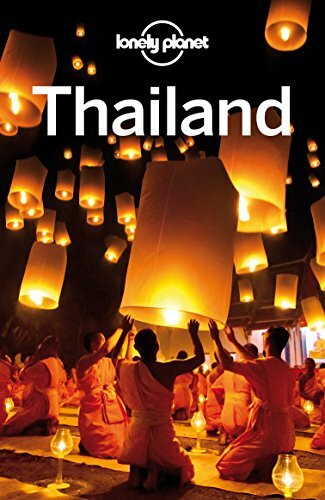 Thailand is a great place for living it up on a moderate budget. Love the open-air jacuzzi tub! Mai House looks beautiful and quite luxurious. It is great too that such luxury can come at more affordable pricing, especially compared to many other destinations. I wouldn’t mind a few days of beach and spa time! 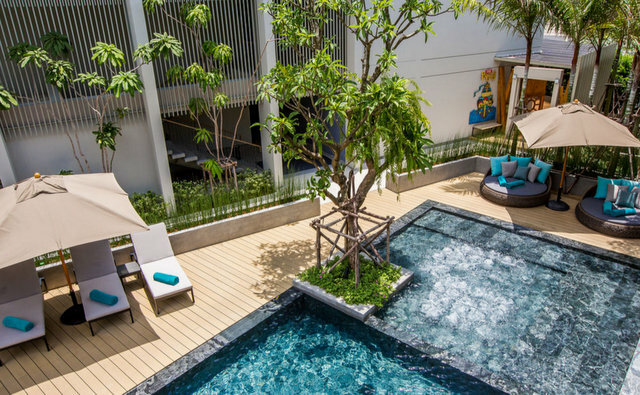 We are planing to visit Thailand in few days and I am surely going to check out for this property. It looks amazing and as you mentioned they go beyond everything to make you comfortable and the perfect arrangements. Rooms look super luxurious. I really loved Mai House Patong Hill. Thanks for sharing. 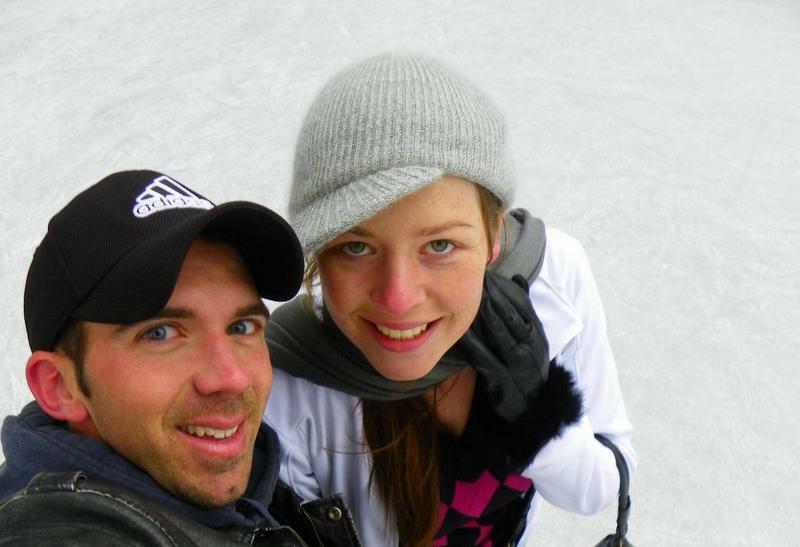 This is the kind of experience that I would need now that winter is coming to Europe. 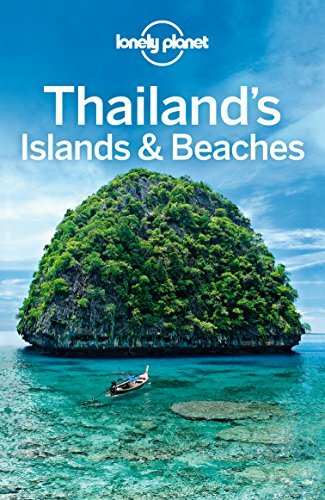 I only know Bangkok and some places in the North of Thailand so a luxury stay in Phuket with good food and a massage would be perfect to start with the islands. Put me on the plane already! Phuket is definitely an amazing base to explore further islands – and MAI HOUSE a perfect base in Phuket. Definitely a great way to escape the impending cold weather! 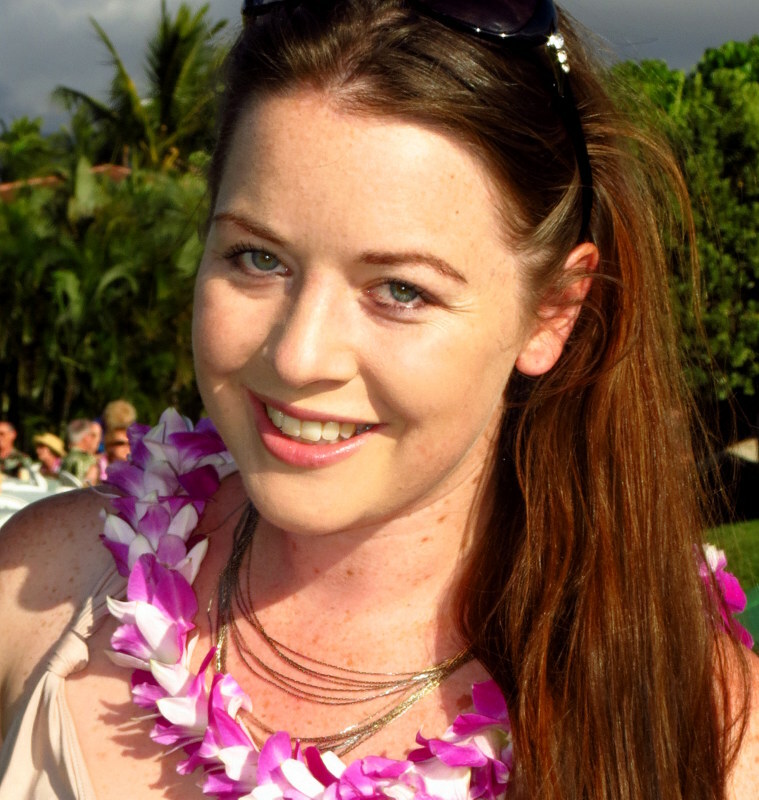 I spent a few months in southeast asian years ago, it was incredible the way you could experience absolute luxury, Im talking the works – multiple spa treatments each day, fresh and fabulous food , beers a plenty and I managed to come home with money still in the bank. It was a very affordable holiday. Is it bad that I live in a tropical paradise but want to visit Phuket’s Mai House? Pretty keen to stuff my pie hole with ALL the delicious food at the rooftop bar. Not bad at all! The difference between an Australian tropical paradise and a SE Asian tropical paradise is honestly the cost – you’re right, luxury in SE Asia, and Thailand specifically, is affordable on an unbelievable scale. And the other difference is the cuisine!! I don’t think Australia would offer a free mini bar lol!